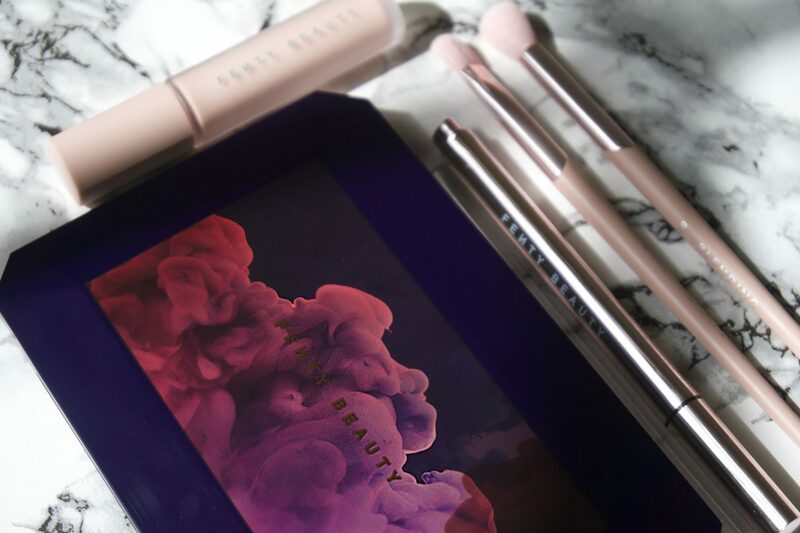 Fenty Beauty have just dropped a NEW collection that is all about the eyes. Run people, don’t walk. 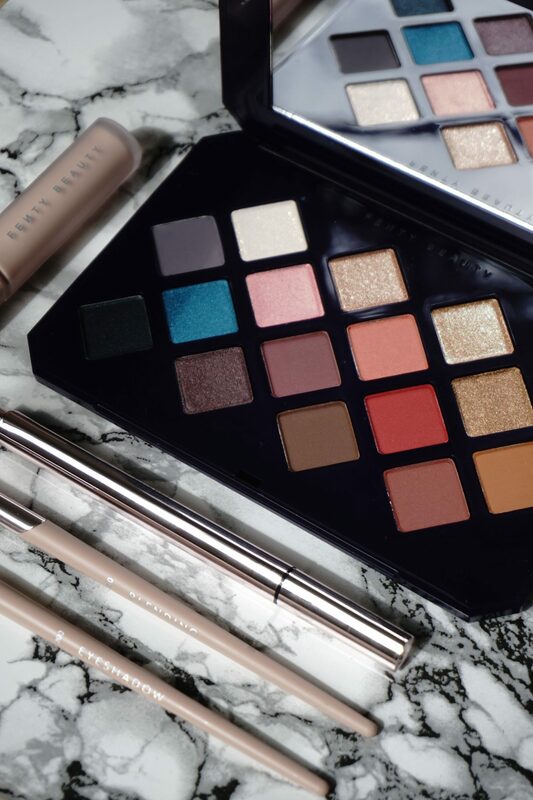 Exclusive to Harvey Nichols here in the UK, the Moroccan Spice collection consists of: An Eyeshadow Palette, Eye Primer, Liquid Liner and two Eyeshadow Brushes. 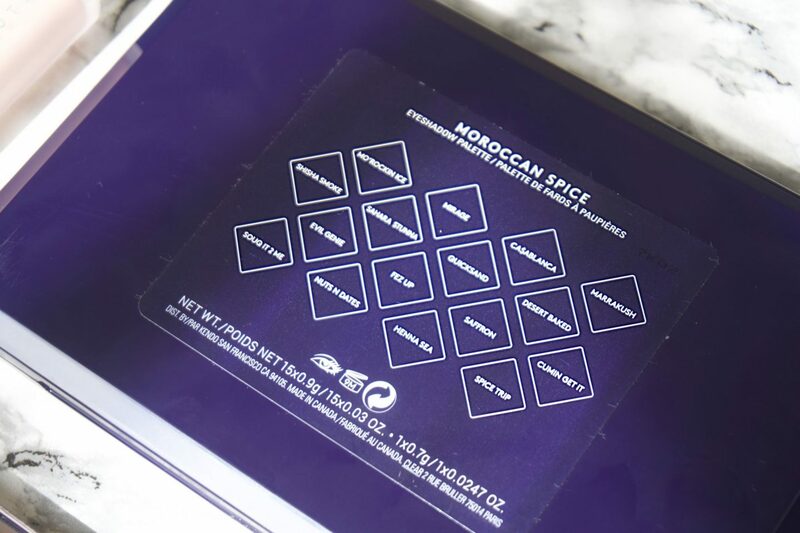 The Moroccan Spice eyeshadow palette is the stand-out item from the collection. 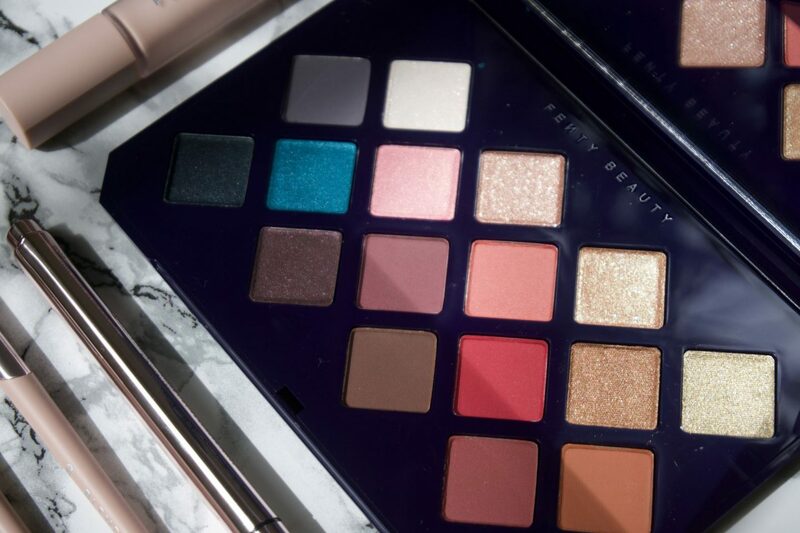 A limited edition palette of 16 eyeshadows, in a mix of matte and metallic shades. Featuring 16 richly pigmented shades in a mix of warm orange and golds, and cool turquoise and emeralds for all skin tones. The impact of these shadows are out of this world. 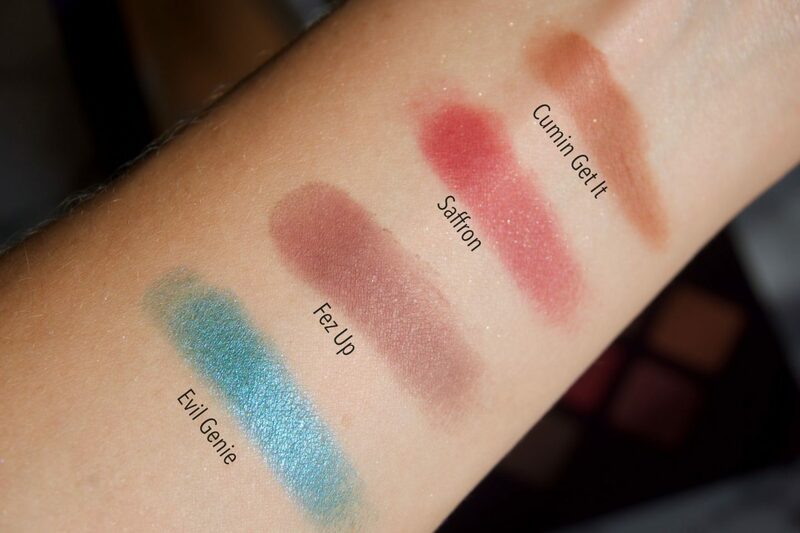 Each shade is weightless, buildable and packs a punch with pigment. 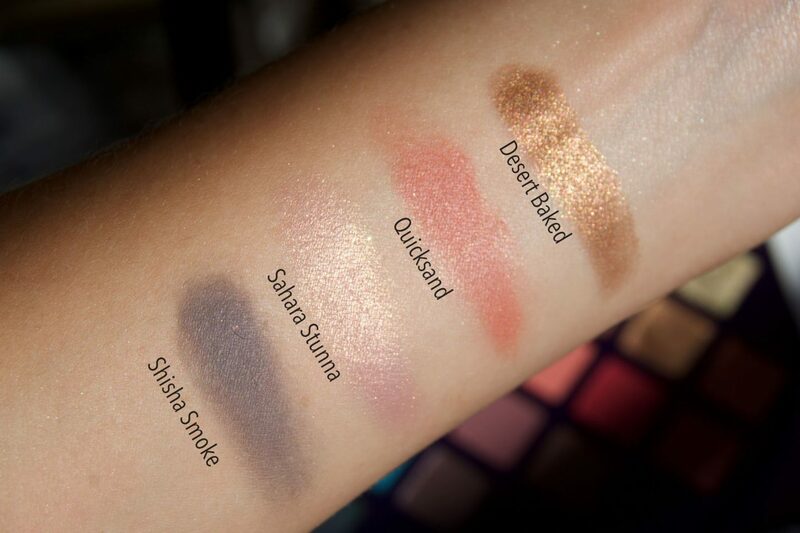 Below are swatches of each of the shadows in natural sunlight, with no flash. Mo’rockin Ice – Iridescent icy pink with pink shimmer. Mirage – Metallic rosy bronze. Ca$Ablanca – Peach gold with gold shimmer. Marrakush – Metallic green-gold . Evil Genie – Turquoise pearl. Fez Up – Matte plum. Cumin Get It – Matte terracotta. Shisha Smoke – Matte blue grey. Desert Baked – Metallic copper bronze. 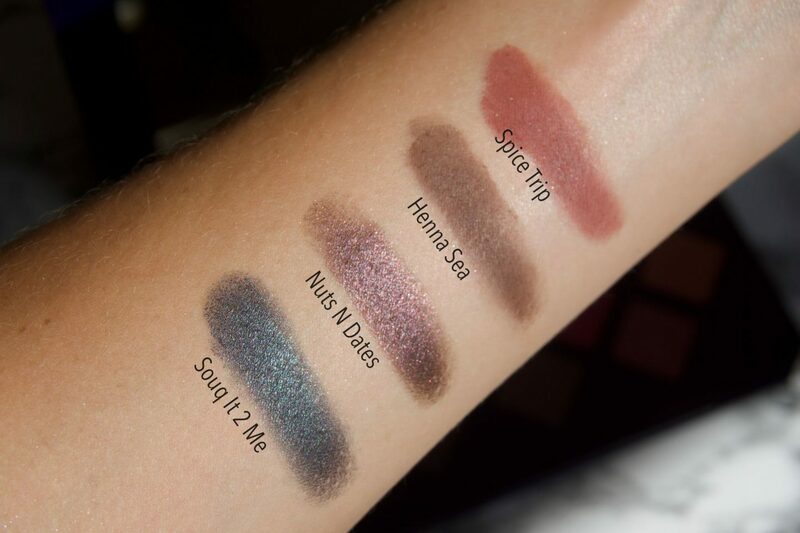 Souq It 2 Me – Satin smoky navy. Nuts N Dates – Satin eggplant. Henna Sea – Matte cocoa brown. Spice Trip – Matte burnt Sienna. 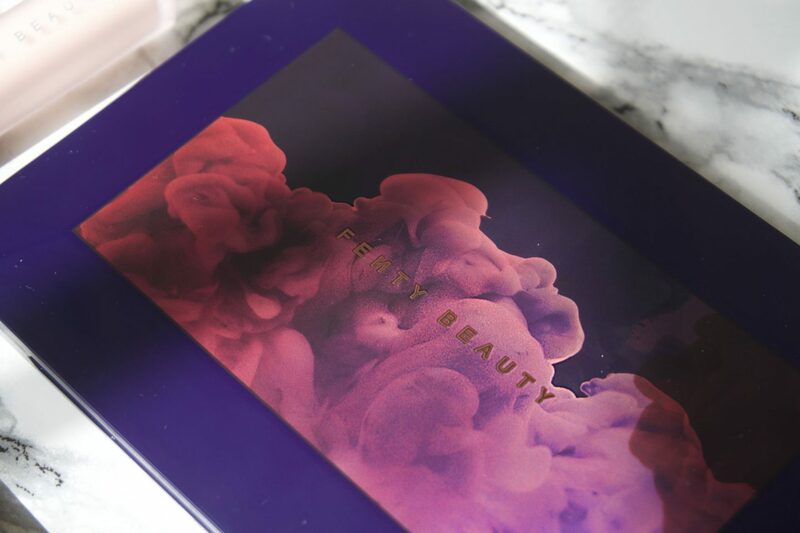 Also featuring in the collection is the Fenty Beauty Flyliner. A longwear, water-resistant liquid eyeliner that I fell in love with on first use. It is my favourite liquid eyeliner I have ever tried. 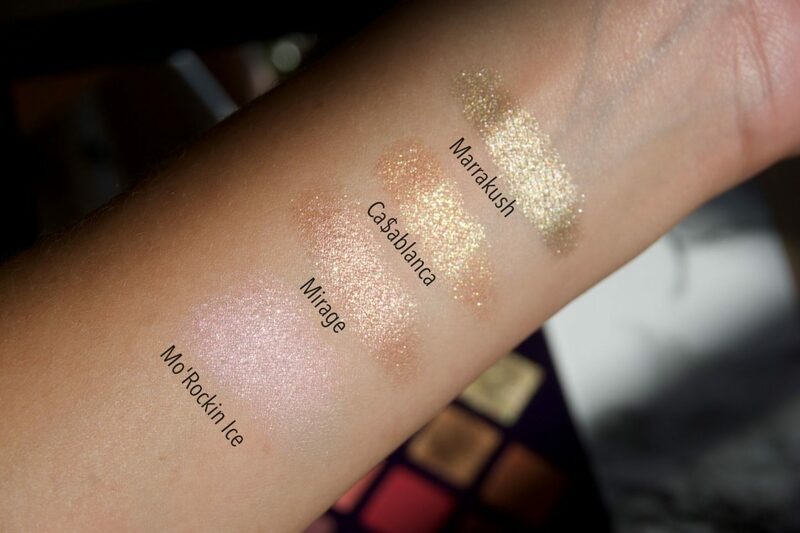 It is SO pigmented, SO defined and SO easy to use. The wet formula gives a smooth application and dries fast to avoid transfer. Whether you are defining your lash line or going for a full-on-flick, this eyeliner is for you. Oh and P.S. it doesn’t move/smudge/budge all day. I do have to go to extra effort to make sure I get it all off at the end of the night BUT I like being able to trust that after I’ve applied it, it’s not going anywhere. I can’t recommend Flyliner enough – I will 100% be repurchasing.